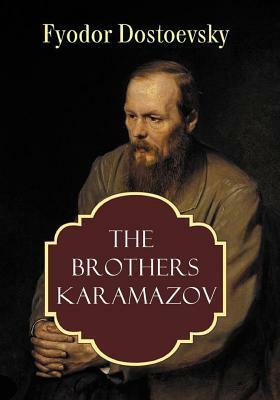 Critics believe The Brothers Karamazov is the last cry of Fyodor Dostoevsky. This passionate philosophical novel is considered among the most powerful and influential works of world literature. The Brothers Karamazov is Dostoevsky's deepest contemplation of human existence, which has heavily influenced the existentialist movement lead by Jean-Paul Sartre and Albert Camus in the middle of twentieth century. A complex structure of the novel features motifs of crime, justice, and redemption through suffering that help Dostoevsky develop his major themes including the conflict between faith and doubt, the burden of free will, and the pervasiveness of moral responsibility. The author's unmatched manner of exploring psychology of his protagonists has influenced many thinkers including Sigmund Freud, who called The Brothers Karamazov 'the most magnificent novel ever written'. Fyodor Mikhailovich Dostoyevsky 11 November 1821 - 9 February 1881), sometimes transliterated Dostoevsky, was a Russian novelist, short story writer, essayist, journalist and philosopher. Dostoyevsky's literary works explore human psychology in the troubled political, social, and spiritual atmosphere of 19th-century Russia. Many of his works are marked by a preoccupation with Christianity, explored through the prism of the individual confronted with life's hardships and beauty. He began writing in his 20s, and his first novel, Poor Folk, was published in 1846 when he was 25. His major works include Crime and Punishment (1866), The Idiot (1869), Demons (1872) and The Brothers Karamazov (1880). His output consists of 11 novels, three novellas, 17 short novels and numerous other works. Many literary critics rate him as one of the greatest psychologists in world literature. His 1864 novella Notes from Underground is considered to be one of the first works of existentialist literature. Born in Moscow in 1821, Dostoyevsky was introduced to literature at an early age through fairy tales and legends, and through books by Russian and foreign authors. His mother died in 1837, when he was 15, and around the same time he left school to enter the Nikolayev Military Engineering Institute. After graduating, he worked as an engineer and briefly enjoyed a lavish lifestyle, translating books to earn extra money. In the mid-1840s he wrote his first novel, Poor Folk, which gained him entry into St. Petersburg's literary circles. In the following years, Dostoyevsky worked as a journalist, publishing and editing several magazines of his own and later A Writer's Diary, a collection of his writings. He began to travel around western Europe and developed a gambling addiction, which led to financial hardship. For a time, he had to beg for money, but he eventually became one of the most widely read and highly regarded Russian writers. His books have been translated into more than 170 languages. Dostoyevsky influenced a multitude of writers and philosophers, from Anton Chekhov and Ernest Hemingway to Friedrich Nietzsche and Jean-Paul Sartre. --Bio from Wikipedia, the free encyclopedia.